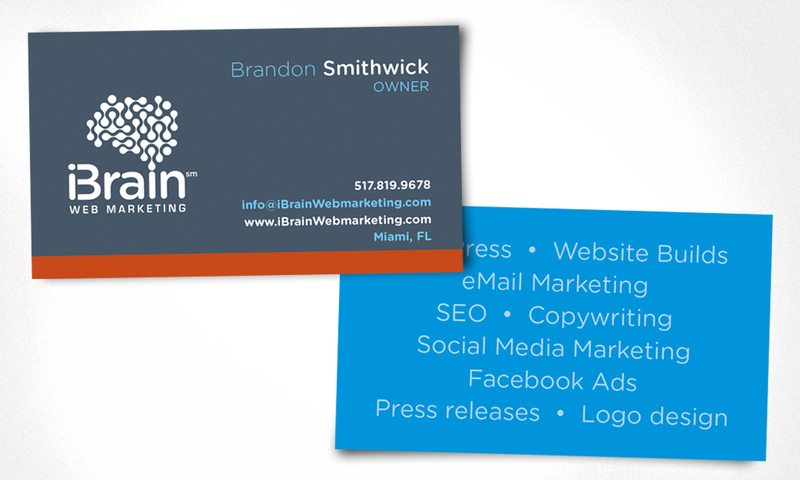 Welcome to our Client of the Week – iBrain Web Marketing! 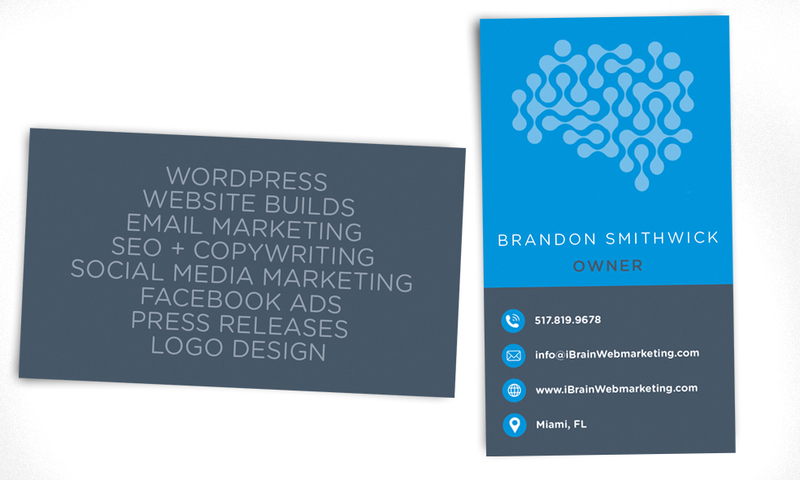 We joined South Florida Marketers in the hopes to find like minds and connections. 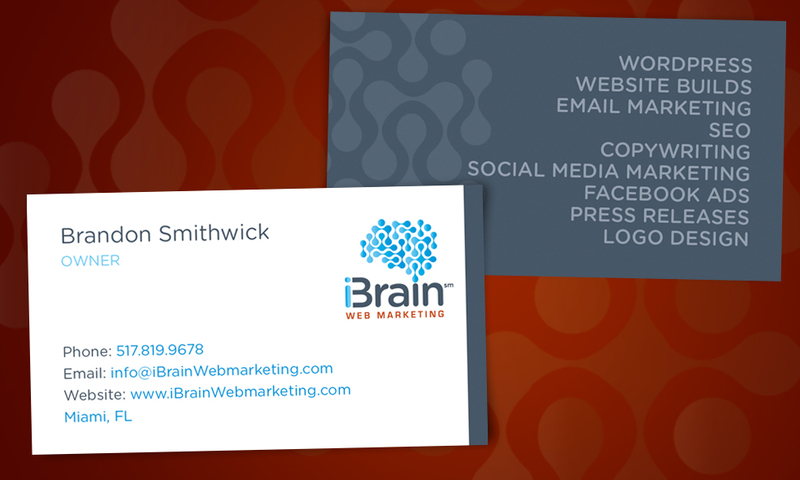 iBrain Web Marketing is a pleasant outcome to this endeavor. 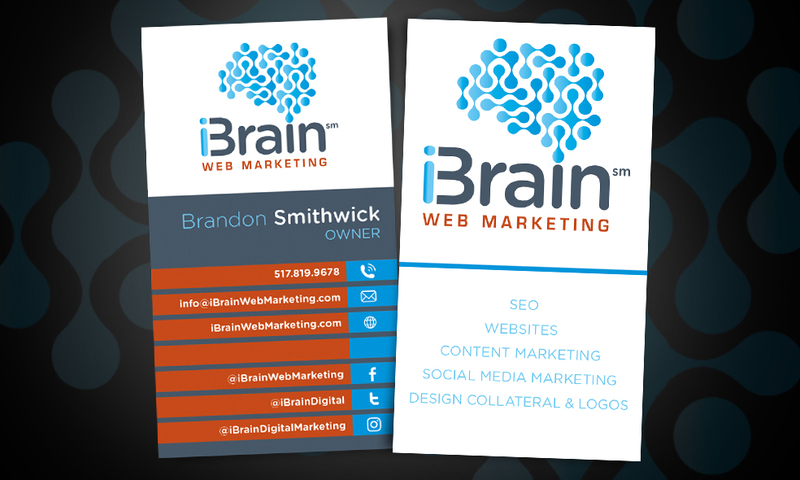 iBrain Web Marketing contacted us to create a logo for their new, upstart web marketing company. While conceptualizing, we wanted to stay away from a brain because it seemed somewhat prosaic and expected. Try as we might, though, we kept returning to that concept. 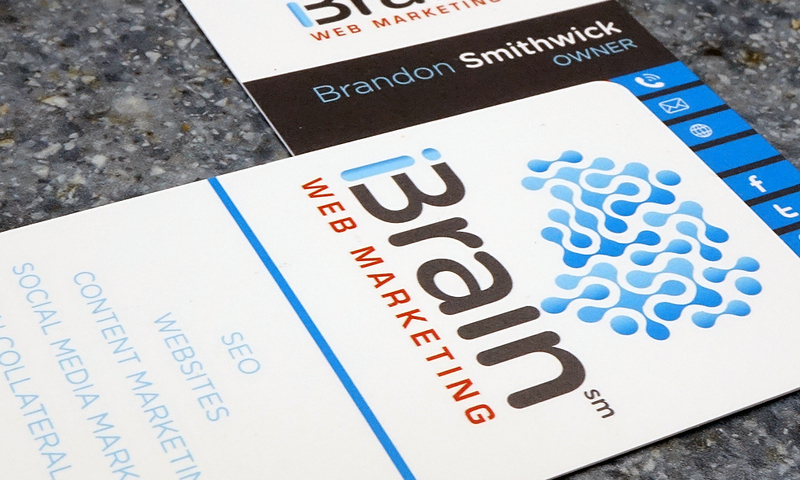 After we established the logo, typeface and colors, we shifted our focus to business cards. We provided iBrain with several concepts of horizontal and vertical orientation. 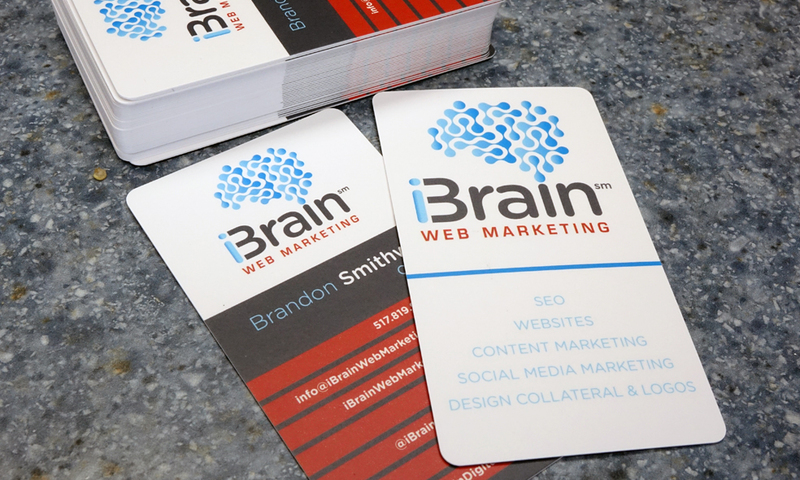 iBrain decided on a vertical position and with a few tweaks, we had the cards printed on 16pt paper with a matte finish and rounded corners.